1902 built for Taranaki Collieries Ltd., Sydney. Specially constructed to navigate the shallow Mokau River. 1903 sold to Northern Steam Ship Company. 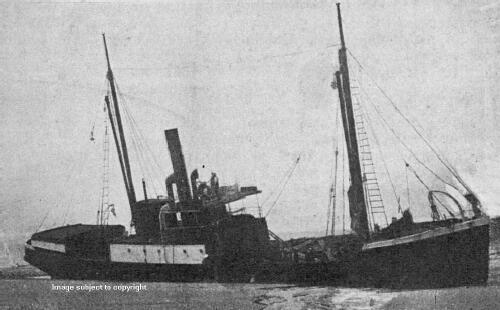 1908 sold to Karamea S.S. Company. 1914 October 10th wrecked North Spit, Karamea Bar, Nelson.